Grace and peace to you in this season of gratitude! *Give thanks with a grateful heart, Give thanks to the Holy One, Give thanks because He's given Jesus Christ, His Son/And now let the weak say, "I am strong”; Let the poor say, "I am rich, Because of what the Lord has done for us”/Give thanks! I have been singing this song all week. I do indeed have a grateful heart for what Christ has done for us here at Middletown Reformed Church. We have so much to be thankful for! infant baptisms and we’ve welcomed six new people into our congregation. Wonderfully, we are seeing visitors in worship every Sunday. That said, we also have lost beloved people in our faith family; namely, Fred Colmorgen, Shannon Hermann, Frank “Frankie” Martin, Jr., and Lauren Coll. Although we miss them dearly, we celebrate and take comfort knowing they are in the nearer presence of Christ. often practicing with fourteen children. Our Adult Handbell Choir is going strong, and is looking for more people to join in their ringing of joy. Our music ministry continues to stir our souls under the gifted direction of Judith Daugherty, as she brings us traditional and eclectic selections through our Joyful Noise Adult Choir, which has grown quite a bit in size! We marched for the third year in the Asbury Park Pride Parade, giving God’s love and welcome to our LGBTQ siblings who have been marginalized by the church. And we even had a float this year in the parade! We hosted the Central College A Cappella Choir, donating $800 to the choir and another $800 to Room for All, a non-profit organization whose mission is to support, educate and advocate for the welcome and full affirmation of people of all sexual identities and gender expressions in the Reformed Church in America. Our Youth Group is once again participating in the MOSAIC Interfaith Gatherings, where they learn about other faith traditions and work toward a world that will be more peaceful. We awarded seven $500 Lt. Dennis W. Zilinski, II Youth Group scholarships to entering and continuing college students to support them in their education. Confirmation class has started again, with three of our young people learning and discerning what their faith walk will be. Our Adult Education continues to study, learn, and pray together, most recently exploring our faith through one of our Standards of Unity, The Heidelberg Catechism. extend the feast of the Lord’s Supper by breaking bread together around tables in the Education Building. It has been a wonderful time of communing together, and yes, enjoying yummy food! Give thanks with a grateful heart, Give thanks to the Holy One . . .
Come this Sunday at 10:30 AM to give thanks to God in all things. Our Joyful Noise Adult Choir will sing the anthem, “There is None Like You” and our New Jericho Choir will bless us with their young voices, singing “God is Great, God is Good.” I will be preaching from 1 Samuel 1.4-20; 2.1-10 and Hebrews 10.11-18, and my sermon title is God Will Make a Way. Finally, beloved, in this season of “give thanks,” we would be grateful if you would consider giving a special Thanksgiving offering as a way to continue to support the growing ministries of God’s church. We ask that you please use your regular offering envelope and write “Thanksgiving” on the front. 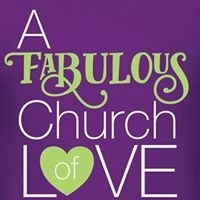 In closing, let me say I remain overwhelmingly grateful for all the ways you so selflessly give to our church. You are a congregation that takes seriously Jesus’ Greatest Commandment to love God with everything you’ve got, and to love your neighbor as yourself. I see you living this commandment everyday, whether in the ministries we do, or in the way you care for each other and our larger community. Truly, I see the face of Christ in each one of you. Thank you.